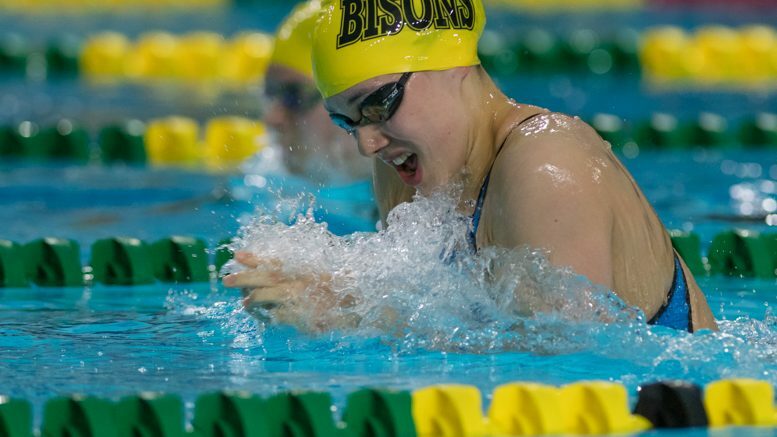 This weekend, Bison athletes of the swimming team headed to Sherbrooke, Quebec to participate in the U Sports national championships. Members of the Bison track and field team headed to Regina, Saskatchewan for the Canada West track and field championship. It was Kelsey Wog once again grabbing headlines for the Bisons, as she grabbed four medals – one gold, one silver, and two bronze. Wog finished second in the 50 metre backstroke with a time of 30.99 seconds and third in the 200 metre backstroke with a time of 2:24.92. Wog collected another bronze in the individual medley with a time of 2:12.10. Wog’s performances helped the Bison women’s swim team finish in 12th spot with 69 points, an improvement of eight places from last year’s national championships. The Bison men’s swim team tied for 22nd overall with four points. 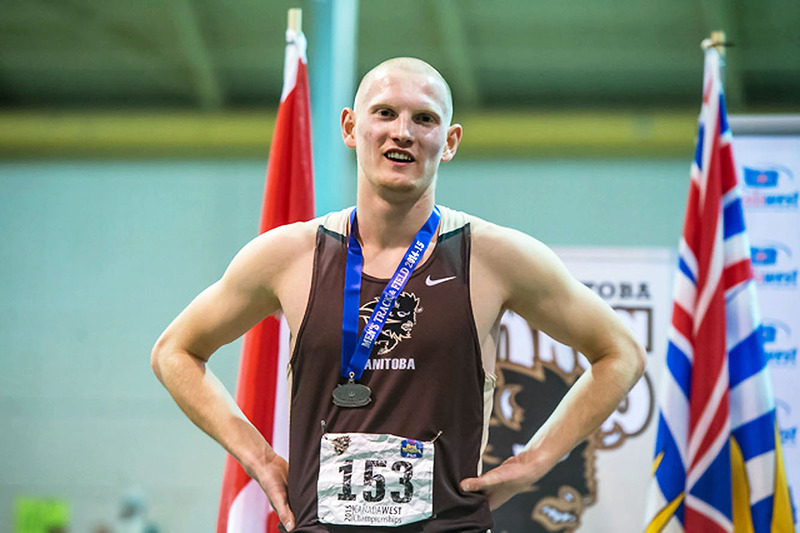 Both the Bison men’s and women’s track and field teams were close to podium finishes at the Canada West championships. The men finished in fourth place with 53 points and the women finished in fifth with 47.5 points. Trinity Western won the men’s title for the first time, and Alberta won the women’s title for the second year in a row. On the first day of the two-day event, the Bisons had four podium finishes. Third year Winnipeg native Brooke-Lynn Boyd grabbed gold in women’s shotput when she threw for 13.40 metres. Eric Guy earned a silver medal in men’s hurdles with a time of 8.25 seconds, and Gee-ef Nkwonta got bronze in men’s long jump with a 6.83 metre leap. Tayo Babalola earned bronze in the women’s 300 metre with a time of 39.85 seconds. Jessica Gundrum just missed out on the podium in the women’s pentathlon when she finished fourth with 3057 points. The second day had two gold medals being placed around Bison athletes’ necks. Tegan Turner won the women’s 60 metre with a time of 7.42 seconds, setting the new record. Alhaji Mansaray was the other gold medal recipient on day two, when he won the high jump with a 2.06 metre hop. Nkwonta got back on the podium with a second place finish in the men’s triple jump with a 14.9 metre jump. Rebekah Eckert also finished in second in the women’s triple jump, jumping for 11.87 metres. Eckert was selected as the Canada West female rookie of the year. Adam Gundrum grabbed a bronze medal in the men’s heptathlon with 4462 points, and teammate Jean-Luc Perron was not far behind, finishing in fifth in the same event. The Bisons will have a few representatives at the national championships in Edmonton as the top two athletes from each individual event qualify.